Price listed is for each snap necklace. These measure approximately 19 1/2'' long. 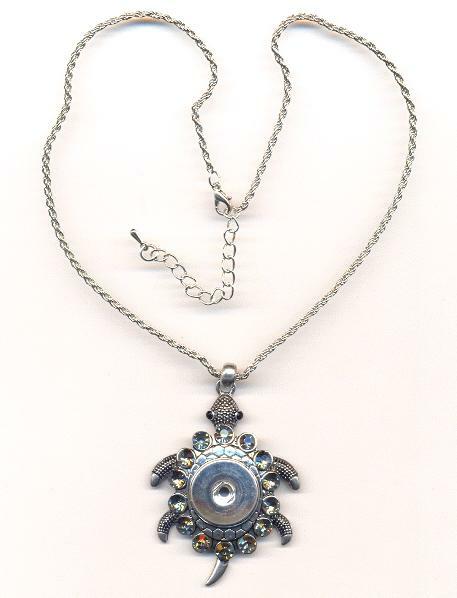 They have a turtle shaped pendant that measures about 2 3/8'' by 1 5/8''. The pendant is made out of antique silver plated cast metal and they come on an antique silver plated rope chain with lobster clasp. 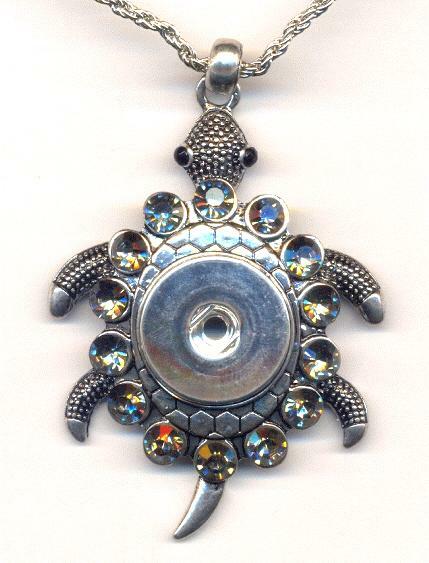 The pendant has black diamond rhinestones surrounding a 20mm snap center base. The center disc will accommodate an 18mm to 20mm snap. These only need a snap of your choice to be complete!